Describe the latest guidance for travelers visiting areas with active Zika transmission, and differentiate between countries with epidemic and endemic Zika. Advise patients who are considering or planning to travel on the possible Zika risk associated with their travel, and the protective measures they can take before, during, and after their trip. 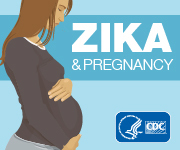 Apply CDC Zika Laboratory testing algorithms when determining which patients with relevant travel history, possible Zika virus exposure, or Zika symptoms should receive testing. State recommendations for travelers returning from areas with active Zika transmission to prevent further transmission of Zika. CPE:The Centers for Disease Control and Prevention is accredited by the Accreditation Council for Pharmacy Education as a provider of continuing pharmacy education. This program is a designated event for pharmacists to receive 0.1 CEUs in pharmacy education. The Universal Activity Number is 0387-0000-16-216-L04-P and enduring 0387-0000-16-216-H04-P course category.Course Category: This activity has been designated as knowledge-based.